Lovely townhome just a short walk to the Grove village centerâs galleries, boutiques, cafes and bayfront parks & marinas. Located in a small gated community of 10 homes. Updates include: travertine flooring and custom kitchen that features wood cabinetry, Italian granite countertops & stainless appliances. Enter the gate into a private courtyard w/ Trex wood decking, ideal for year-round outdoor living. Open, light-filled living spaces w/ two 2nd level bedrooms that offer ample closet space & a shared balcony overlooking the community pool. Newly renovated upstairs bath features over-sized, frameless glass rain-shower. Additional features: new HVAC, outdoor storage shed, 1 parking spot + guest parking and low monthly maintenance fees. 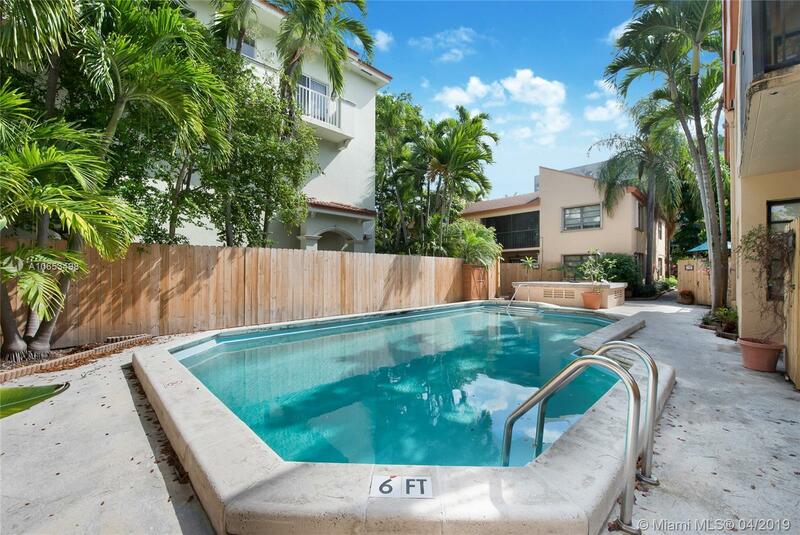 Minutes to downtown, MIA & the Beaches.